Personalized Pen Highlighters Custom Printed in Bulk. Promotional, Inexpensive. Lowest prices in USA and Canada. Blue, Green, Orange, Pink, Yellow, etc. Ink Color matches Pen Color! Dual Brand. 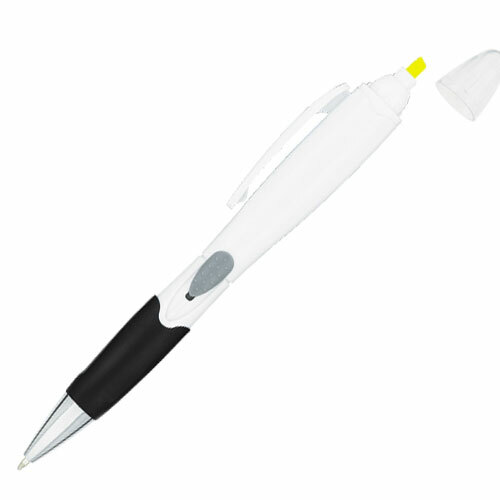 Bulk discount Pen Highliter combos, personalized with your custom imprint or blank. Best price in USA and Canada for wholesale personalized Highlighter Pens. See our today's special on our Price Table below . We also supply bulk blank (not custom imprinted) highlighter pens for only $0.65 each. American clients pay no taxes. Free artwork design and free proofs! No setup charge for 1 color imprint! 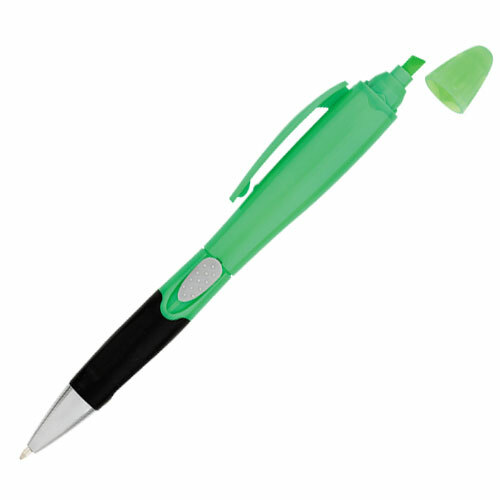 We also supply bulk blank (not custom imprinted) \ Highlighter Pens for only $0.65 each. Production Time: 2-4 working days after art approval; Blank (not custom imprinted) pens ship next day. - Style: Plastic Side Action Ball Point Pen and Removable Cap Highlighter. - Imprint Size: 1 inch x 7/8 inch beside clip. 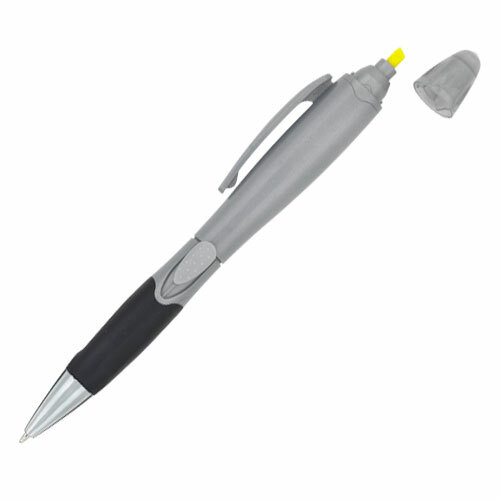 - Optional clip imprint: add $0.15 per color, per pen, plus a Setup Charge of $40.00. 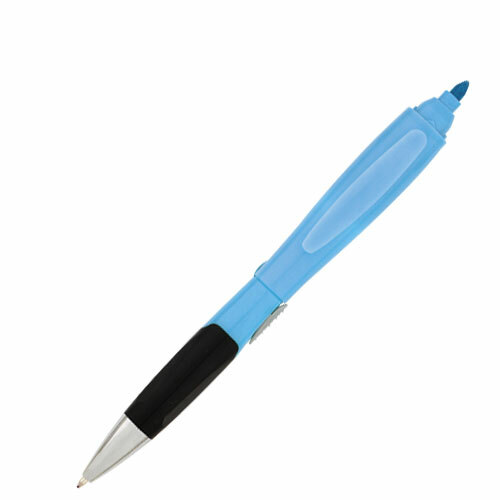 - Pen Highlighter colors: Blue, Green, Orange, Pink, Yellow, White, Silver, Black (see photos). Ink color matches pen color! - Production Time: 2-4 working days after art approval; Blank (not custom imprinted) pens ship next day.